Having sick kids is almost worse than being sick yourself. Especially when they’re very young and can’t communicate well with you, it can be a challenge to know what they need and how to best care for them. This can be even more frustrating when it comes to a cold because the only thing to do is just treat the symptoms and ride it out. The best thing you can do is to try to keep your child as comfortable as possible, but what does that really entail? 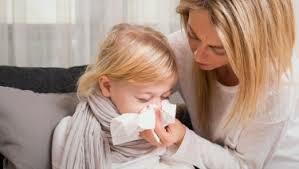 To help you get through this tough time with your little one, here are three ways you can comfort your child when he or she has a cold. Before kids can blow their nose on their own, it’s important for you to take care of this task for them. Renee A. Alli, MD, a contributor to WebMD.com, shares that using saline drops to loosen the mucus in the nose and then removing it with a nasal syringe will help to keep your little one’s nasal passages clear. With clear nasal passages, your baby will be able to get more of that much needed rest in order to get healthy again. Taking medicine is never a fun task for kids. While medication companies have tried hard in recent years to make liquid medicines more palatable, especially for children, it’s still no treat to try to get your child to take their medicine. One trick you might want to try, according to WhatToExpect.com, is chilling the medicine in the fridge before giving it to your child. Children are used to drinking things is a cooler state, so having their medicine chilled might make it easier for them to stomach. Just be sure chilling the medicine won’t affect the effectiveness of the medication before you try this tactic. A stuffy nose and chest congestion can make it hard for your small child to breathe like normal. To alleviate this, HealthyEssentials.com recommends putting a couple drops of eucalyptus essential oil in modeling dough and letting your child play with it. Moving the dough will release the eucalyptus, which will help ease congestion and make it easier for your child to breathe comfortably. If you’ve tried all the methods you know to make your child comfortable but nothing seems to be helping, it’s always a safe bet to visit their pediatrician to make sure there’s nothing more serious going on in their tiny body. But if you’re just waiting for the cold symptoms to subside, try some of the comfort ideas mentioned above with your child.